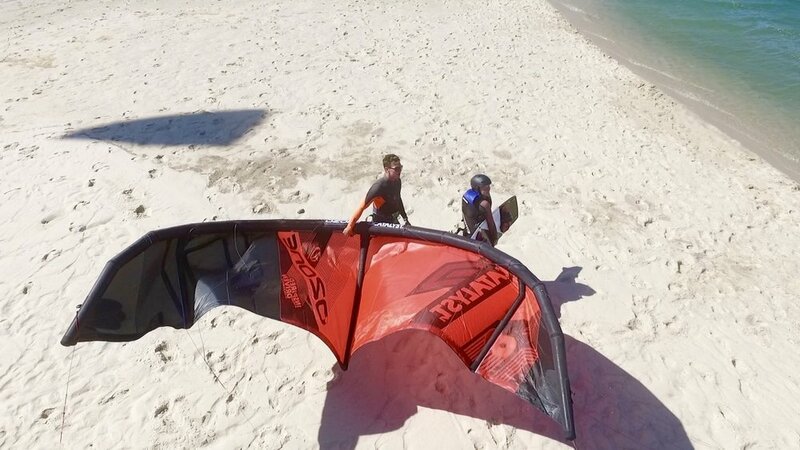 Wonder what's the most efficient way to LEARN KITEBOARDING IN PORTUGAL ? Private kitesurfing lessons with Kite Control Portugal is the best way to make sure that all eyes are set on you as you gain knowledge and experience at your own pace in a regulated, safe and comfortable environment. Learn to master the art of kiteboarding with the assistance of your own IKO-certified instructor. International Kiteboarding Organization (IKO) is the world's largest kitesurfing community providing support for instructors and students all around the world. IKO programs are both practical and theoretical; designed to assist your learning in a safe environment while walking you through all the kiteboarding skill levels in order for you to achieve your desired outcome. Our Instructors have earned their IKO certification through a commitment to quality and safety, ensuring yours as well. Our one-on-one program will have you up on the board and riding as quick as possible. Your instructor will thoroughly train you using a step-by-step method to ensure that you become an independent and responsible kiteboarder. Kite Control's private kiteboarding lessons is your most guaranteed route to learning how to kitesurf only from the best, passionate and professional instructors. Your progress and safety are our utmost concern (while we have lots of fun along the way!). The Obidos lagoon is an amazing place to learn how to kite in Portugal due to its consistent winds and flat waters. Our instructors are 100% dedicated to helping you reach your goals. At Kite Control, you can be sure to have our full attention and gain the best feedback possible, as we help you to hone your skills and develop your capabilities on the water. It is our pride and glory to make a kitesurfer out of each and every student that comes to us; all aiming at the same goal we once were. To be successful, all it takes are patience and perseverance. So... What are you waiting for? Feel the wind and experience the thrill on the water with us! Book a kitesurfing lesson in Portugal with Kite Control today and find out for yourself what you're made of! Ask for some pictures of your session !